This post is in no way sponsored by Aweber. They are the email service that I use and I 100% endorse them. All views presented in this post are my own and are factual. While I do appreciate it if you use the links in this post (I get a little kickback) you are free to do whatever you like. You can try Aweber for $1.00 for the first month when you sign up here. If you’ve been researching “how to make money blogging” or any type of blogging tips, you have probably heard the quote “build your email list” somewhere along the way. I’m sure some of you are saying, “What the heck do I do with my email list?” and are wondering why you should build it. You see, many sites simply stop there. 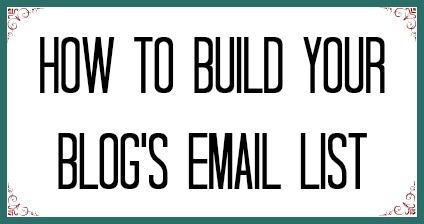 “Build your email list” isn’t an explanation at all. In this post, you will find some strategies to not only build your list, but what to do with your list and even how to profit from it. 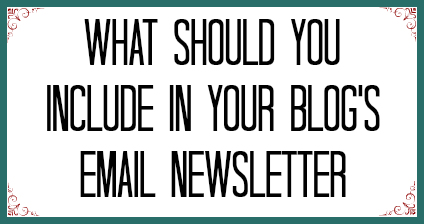 While I encourage all bloggers to have some sort of email newsletter, if you sell a product of any kind, you MUST have an email newsletter or you are ignoring a hugely powerful sales tool. People don’t always buy something from a site on the first visit, or even the second, but if you can collect an email address and inform them about your existing products and alert them of new ones, you have another avenue to reach them and another way to make a sale. Give away something to subscribers. It doesn’t have to be huge, but people like a little incentive for giving up their precious email address. Give them a short eBook, or just a chapter of one, or a report. Basically anything with a little bit of value to your reader would work. Obviously, the better the free product seems, the more likely people are to give up their email. With Aweber’s auto-responder feature, you can automate this entire thing and include the free chapter, report, etc. in the initial email that is automatically sent to new subscribers once they confirm their email address. There’s a reason why people use pop-ups to try and get email subscribers. No, it’s not to annoy the heck out of readers, it’s because they WORK. If you’re looking for an in-your-face pop-up plugin, I would try Displet Popup. Displet is a free plugin which allows you to customize the form and set things like how long it takes until the form shows, how many times each user sees the form and more. It is important to get a pop-up plugin that allows you to set it so that the same readers are not always having to close the popup. Many plugins will recognize return users and not show the pop-up. I am not a fan of the in-your-face pop-up. I have found a happy medium that works great for me. You are free to do whatever you like though. The WordPress plugin that I have found is called “Scroll Triggered Box” and it is basically a little pop-up that appears in corner of the site upon scrolling. You can set how far a user has to scroll in order for the box to show up among other things. I am a huge fan of this plugin because it pops up and grabs the user’s attention, but it does not cover the content and can easily be ignored if the reader doesn’t feel like closing the box. You are going to want to create a nice looking page (not post) to try and “sell” people on your email list. If you ever have an opportunity to leave a link somewhere and you feel that a link to your subscribe page will benefit you, then do it! On your subscribe page, include multiple sign-up boxes and details about what the readers can expect to get not only from the freebie you are giving away, but from the email newsletter in general. Click here to see my page. You will also notice that I have removed the sidebars from this page. If we are determining that we want whoever clicks to that page to sign up for the email list, then it’s best to remove all other distractions. I don’t want them clicking an ad, or a link to another post, I want their email address! I have said this before, “keep your sales page focused on your product” and it rings true here. You are selling your list! Include some status updates on your social media accounts about what your email list has to offer followed by a link to a subscribe page. 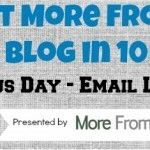 Many blogs have awesome email lists and don’t promote them enough. If your social media following is growing daily or weekly, you probably should be informing your readers that you have an email newsletter! On Pinterest? Create a nice-looking image saying what people will get from your list, or what they will get for subscribing and turn it into a pin that leads directly to your subscribe page. On Twitter? Tweet about your list regularly! Remember, Twitter (like Facebook) is timeline based, so it’s unlikely that all of your followers will see each update anyway, so regular updates are essential. 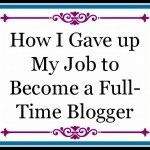 You’ll find a subscribe box in my sidebar, below every single post and in my “About” page. I first had a box only in my sidebar and noticed a spike when I added it to my “About” page and another one when I added it below each post. I think having a subscribe box in the middle of your “About” page is a great idea. You’ve got the reader right where you want them! They have already intentionally clicked to learn more about you, so why not make it easy for them to get more from you? One of the main points of your email newsletter should be to built trust with your reader. 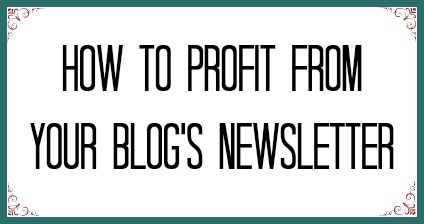 If your newsletter is all about making money, readers will sniff that out and unsubscribe very quickly. There’s something more personal about an email list and readers expect you to know that. 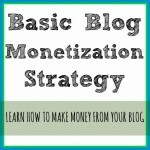 They not only expect you to provide something of value, but they also want something unique that they would not find on your blog. A good email list will read similar to a good blog. When you are selling something or including affiliate links, they should be seamless and appropriately compliment the content. Again, if you make every single email a sales pitch, you’re not going to have a successful list. 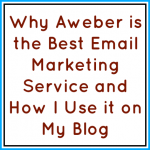 This is another reason why I love Aweber’s email marketing system. I have an auto-repsonder series created already with a few dozen emails scheduled to go out to subscribers every week or so. In between, if I have anything like an eBook or a great new resource to talk about, I can send out email blasts to my entire subscriber list. I usually save the sales stuff for those emails. Because I am sending those emails out in between my content emails, I know subscribers won’t get the feeling that I am being too sales-ey. One of the best parts about Aweber is its auto-responder feature. You can schedule a series of emails to be sent to new subscribers in any way you choose. You can include your freebie incentive for signing up in the first email and have the entire process automated. Your new subscribers will get their eBook or chapter and you won’t have to do anything on your end! You can customize the frequency of each message and even the time and date that they receive the emails. If you’re not going to create unique content for your email list and want to use it as a notification service when you push out new posts, you can do that too. Aweber gives you the ability to send out an email only when new content is produced. You can send the email as the content is released, every day at a certain time, weekly or monthly. If you’re a deal blogger, or someone else who publishes multiple posts every day, you might want to send out a daily email. 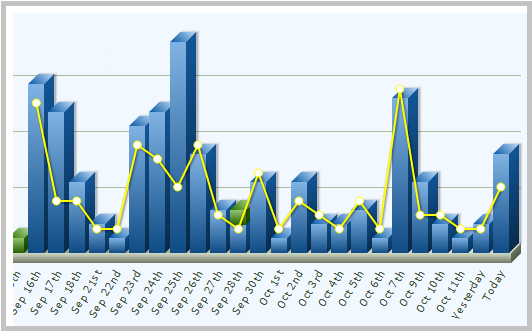 I know several deal bloggers who see a nice spike in traffic every evening when their newsletter goes out. Some people appreciate that they get all of the content in one place. The possibilities here are endless. 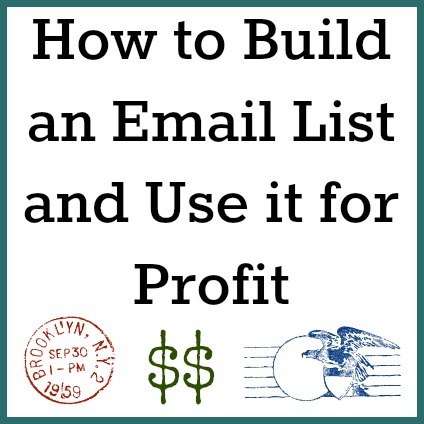 If you do everything above, you will be in a good position to monetize your email list once you have a good sized list. Remember, we are plugging in monetization emails among rich, content oriented emails. You can also add affiliate links or sales links in your regular emails as long as they enrich the email’s content. Affiliate Links – if you mention a product or service that you use and are happy with in an email, include an affiliate link to that product or service. Make sure you are not link stuffing and make sure the links are helpful to the reader. eBook Sales – if you’ve got an eBook coming out, your email list is a wonderful place to build some interest for it. Send out a blast a couple of weeks before the release date with a summary or maybe even a chapter. Include the release details in that email and a link to where they will be able to buy it. Then, on the release date, send out a similar email and mention that is was just released. Traffic to Your Site – this is an indirect way to monetize your list, but if you can link to your site and a post that might generate money on its own, do so. 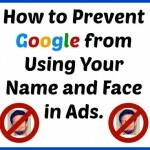 Even if all you have is AdSense on your site, if you bring your email readers to your site, they might click them, thus generating you some income. A big part of having a successful email list is knowing what is working and what is not. Test several pop-up boxes, status updates and other ways to promote your list. 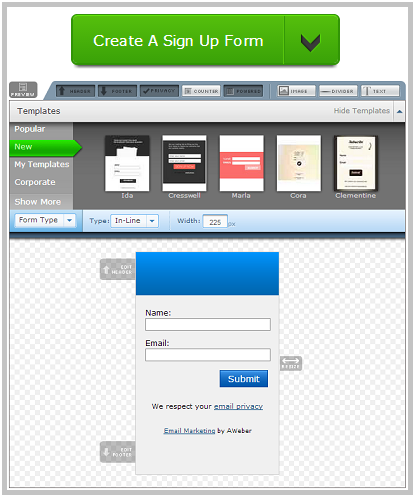 Aweber allows you to create great-looking sign-up forms (see below) that each have their own tracking. What does this mean? Well, I know how many people have used my sidebar email subscription box over the sub box in my “About” page. I know that the old sidebar subscription box design wasn’t working as well as my current one. You should always be monitoring and testing new, better ways to gain signups. Having that interface as part of the super low monthly subscription fees is great. Many paid services exist for the sole purpose of creating email signup boxes, so the fact that this is included is great. With Aweber, you have access to a slew of reports that you can analyze and act on. One of my favorite features is that I can see the last email a person opened before they unsubscribed. If I notice a pattern, I will go into that email and try to improve the content. Other great reporting features included by Aweber are: email open rate, email click rate, subscriber location information (down to the city), delivery rate and more. Aweber is known as having the best delivery rate, which means no missed emails for your subscribers. You can also create automations with Aweber. This means if you have more than one list, you can set it to subscribe someone to both (or all) of your lists when they fill out just one subscribe box. This works great if you have multiple lists for related topics. The best way to use this is to create a separate email newsletter and a blog broadcast (which will turn your recent posts into an email) and make it so when someone subscribes to one of those, they are added to both (pending confirmation, of course). 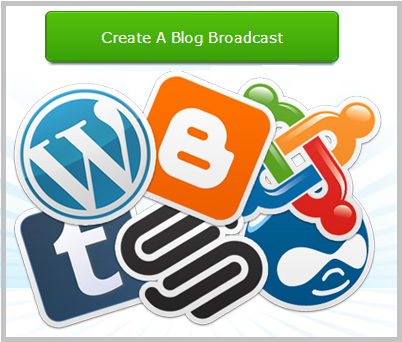 A blog broadcast will turn your recent posts into an email. You can send this email daily, weekly, monthly or when content is new. You can choose the date and time of delivery too! Another great feature is you can search among your subscribers and quickly bring up a list of subscribers who have not opened an email in a long time. You can set the date range. I like to remove people who have not opened an email in 3 months. 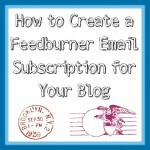 Since Aweber’s subscriptions are priced based on how many subscribers you have, it’s a good idea to weed out those who are ignoring your emails. • Having some sort of an email newsletter is important. • Providing value in your newsletter is also important. • Build and test your subscribe forms continuously. • Promote your newsletter as you would your blog and social media accounts – it is just as important! • Monetizing your email newsletter is not difficult once you have built trust with your subscribers. • Use Aweber to streamline your email process, it’s the best in the biz. This post was in no way sponsored by Aweber. They are the email service that I use and I 100% endorse them. All views presented in this post are my own and are factual. While I do appreciate it if you use the links in this post (I get a little kickback) you are free to do whatever you like. Thank you! Yes, definitely the incentive is a big one! I look forward to seeing what you come up with!